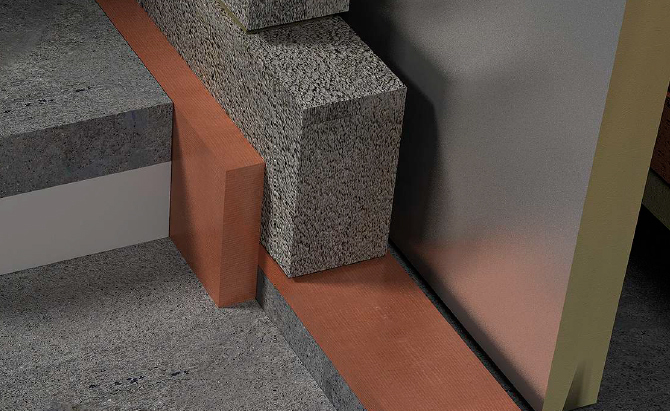 Masonry veneer walls require tie-backs and shelf angles which form signiﬁcant thermal bridges and can reduce a walls’ R value by as much as 50% making it difﬁcult to meet energy codes. 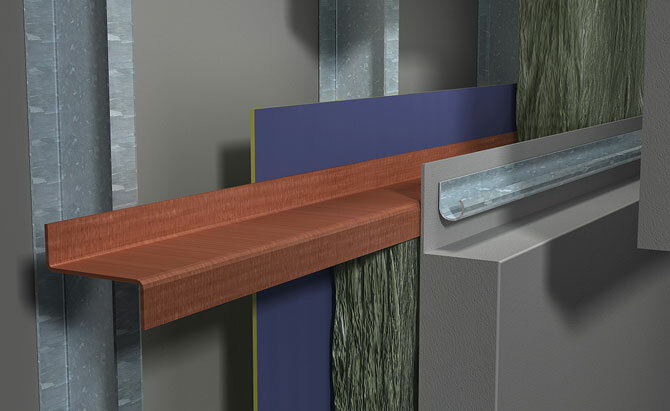 Steel columns traditionally extend through the building envelope (floor slab) and insulation at their base. 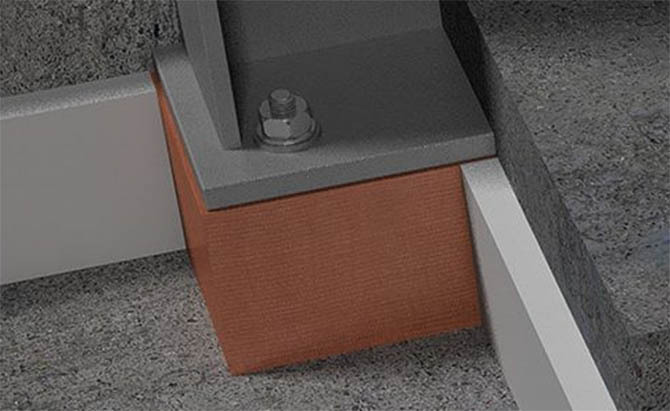 Foundations are part of a buildings’ thermal envelope. The intersection at a slab on grade to foundation wall and the exterior wall to foundation transition are both areas where heat flows out of a building due primarily to non-continuous insulation details. The most common interface details for structural framing are canopies and balconies that use cantilevered steel or aluminum elements. 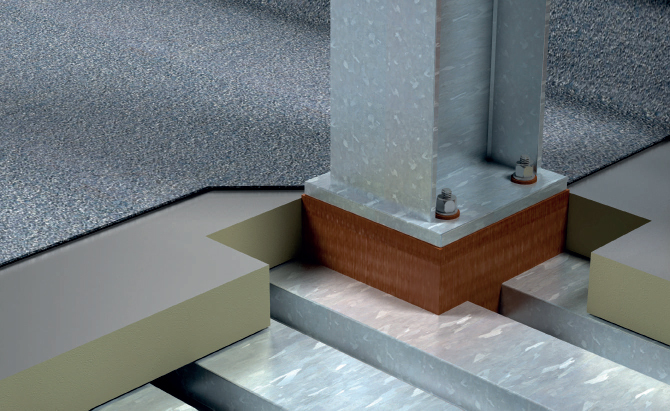 The roof is part of the building envelope where penetrations such as davits, anchors and supports for dunnage extend through the thermal envelope and roof insulation creating non-continuous insulation. 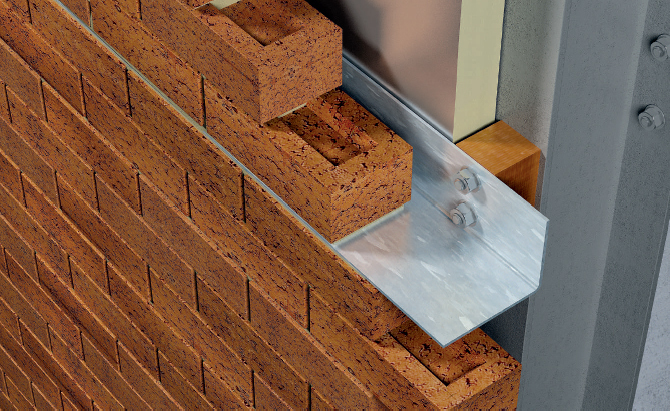 Armatherm cladding attachments significantly improve wall assembly thermal performance. 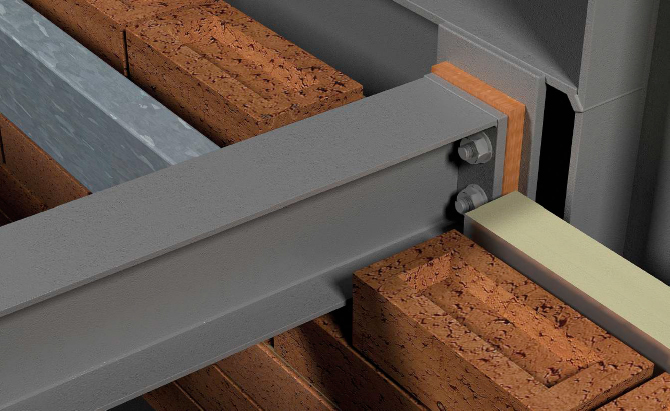 Armatherm FRR Z Girt, clip and thermal break shims provide a combination of low thermal conductivity and high compressive strength transferring load and reducing heat loss.